On Saturday, I went to the cinema to watch a movie with my wife. The movie we saw was called Sully. Watching it, I soon realized that it was about me. This much was clear from an early scene where a pilot crashes US Airways Flight 1549 into the New York City River—something that I myself have done. As frustrating as it was to pay money to see a story I could’ve just seen in my own memory for free, the movie did manage to teach me one new fact about myself, and that is the fact that I am Tom Hanks. Yes, you read that correctly: As it turns out, I am the Academy Award-winning actor Tom Hanks. Throughout the movie Sully, I couldn’t help but notice that although the protagonist was living out the events of my life, he was not the man I see in the bathroom mirror each morning. Yes, he had a mustache like mine, and yes, he was wearing the same pilot hat that I wear. But his voice and facial structure seemed to be more reminiscent of Academy Award-winning actor Tom Hanks. I was confounded. Having accepted that I really am Tom Hanks, I am preparing for some big changes in my life. I mentioned the issue to my wife dozens of times throughout the film, but it was not until the credits started rolling that my suspicions were confirmed. 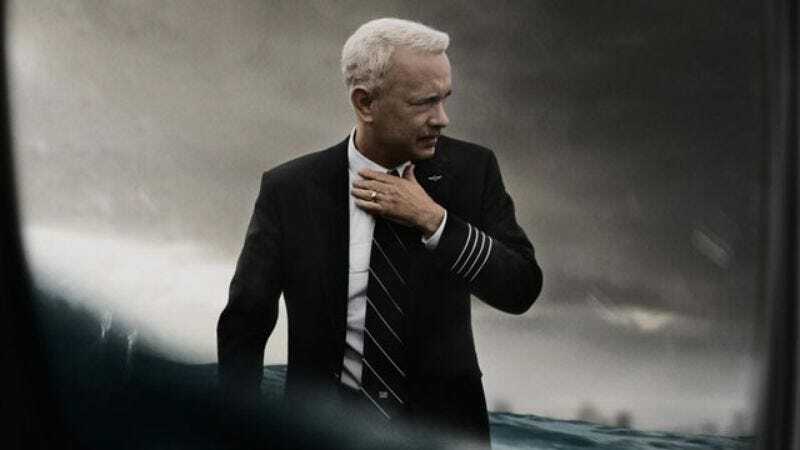 Among the first words to appear on screen were, “Chesley Sullenberger is Tom Hanks” (I am paraphrasing, but that was the gist of it). I knew then that there were no two ways about it. The truth was that I was Tom Hanks. Having accepted that I really am Tom Hanks, I am preparing for some big changes in my life. For one, I will need to get my driver’s license updated so that it says Tom Hanks instead of Chesley Sullenberger. Second, I will need to divorce my wife, as it is illegal to be married to her and Rita Wilson simultaneously. Third, I have read on Wikipedia that I, Tom Hanks, am an outspoken advocate for protecting the environment, so I will probably not be able to kill geese with my airplane anymore. These are the only life changes I am anticipating at this time. My goal moving forward is to enjoy being Tom Hanks as much as I can. I am excited for all of the perks that come with being a movie star, such as having your photograph taken and leaving your handprints in wet cement. It is a tremendous honor to be Tom Hanks, and I promise to do it to the best of my ability. I will not crash any more airplanes. I will not let you down.